Authorities said the drugs were hidden in metal boxes labelled as loudspeakers. Photo courtesy Australian Federal Police. Australian police arrested six people after what authorities said today was the largest single seizure of methamphetamine in the United States and the biggest drug haul bound for Australia. 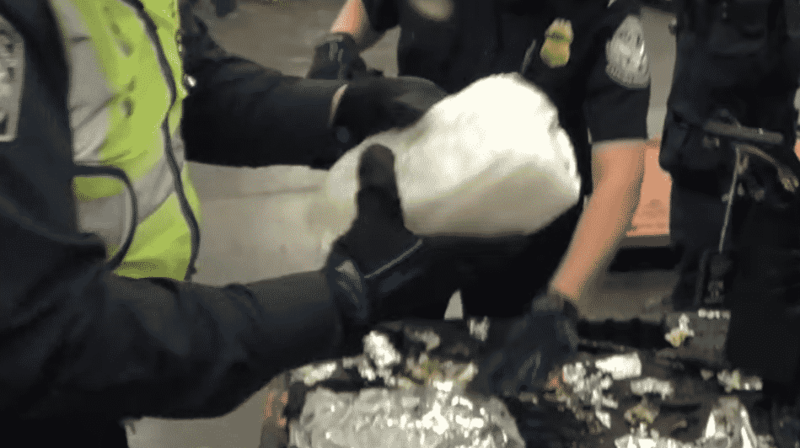 U.S. Customs and Border Protection said 3,800 pounds of the drug were seized mid-January at the Los Angeles-Long Beach port complex along with smaller amounts of cocaine and heroin. The drugs were hidden in metal boxes labelled as loudspeakers. Australian authorities said it was also the largest haul of the drug intercepted while bound for Australia and would have provided around 17 million hits of the substance also known as ice. Australian authorities said that the operation with the U.S. Department of Homeland Security, Drug Enforcement Agency, Australian Federal Police and Victoria state police had stopped “a tsunami of ice” from reaching their shores. Police said that three of those arrested would appear in the Melbourne Magistrates Court on Friday, charged with attempting to import illegal drugs. Two other Australians face the same charge. Australian Federal Police Assistant Commissioner Bruce Hill told a news conference in Melbourne that police now believe Mexican cartels are actively targeting Australia. None of the agencies involved has further identified the cartel. The operation also involved raids in British Columbia on Thursday by the Royal Canadian Mounted Police, which resulted in the seizure of “a significant quantity” of suspected proceeds of crime, police said. Jason Halls, Victoria manager for the Australian Criminal Intelligence Commission, said the drugs would have had an “immeasurable” impact on the Australian community. He said sewage drug monitoring data showed Victoria state—which has a population of 6.3 million—was estimated to consume just over 2 tons of ice each year. The previous record haul of meth seized in Australia was 1.3 tons in December 2017. Associated Press writer Robert Jablon in Los Angeles contributed to this report. ERROR: Either you do not have a saved card to donate with G Pay or you're using an older version of Chrome without G Pay support.